The learning journey started in the first minutes of the three day storytelling course when I asked the students to ask their burning questions. Based on them we co-shaped the agenda for the three day course. It became "our" course, not just mine prepared in advance. We did not miss any structure - it is not the point. Storytelling can be a valuable approach in so many fields that I really wanted them to map the field first of all and to decide what to focus on next. 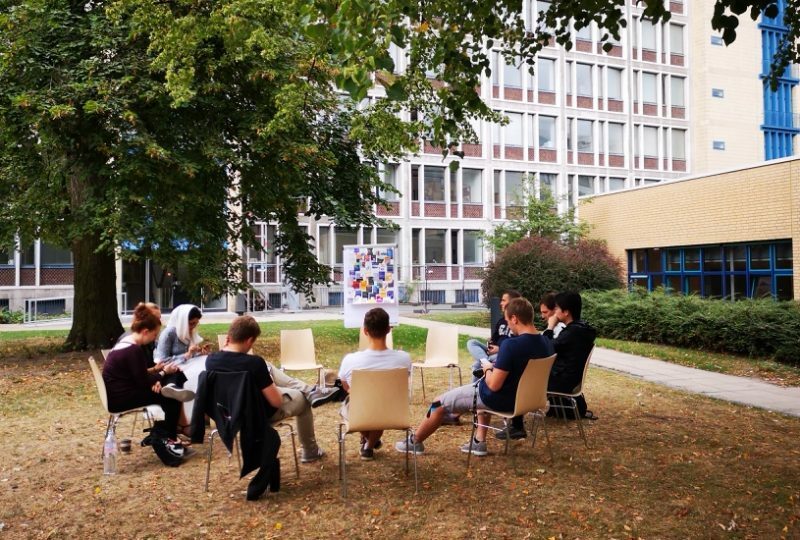 Especially storysharing across cultures was very powerful as students from Iran, China, Turkey and Germany exchange their stories on living and studying in Hannover and embded them in the hero's journeys. They enjoyed the vivid exchange of their own stories as much as the discussion on powerful TED talks by Chimamanda Adichie "Danger of a single story" and by Devdutt Patanaik "India is not chaotic". I have been asking myself how much self-reflection should be part of this course and their openess gave me an answer. And so we dived into the storytelling with objects from different cultures, with their personal belongings, their own behaviour tendencies and above all exchange of stories. Research on the internet enriched these experiences a lot. Following the wish of several students we also analyzed and applied storytelling in advertising. Producing their own commercials with storytelling was one of the highlights on the second day. Anyway, have a look at students' feedbacks below to get a bigger picture.